Excited for Christmas? Well, Talk N Text will give you early Christmas Bonus starting this Monday! 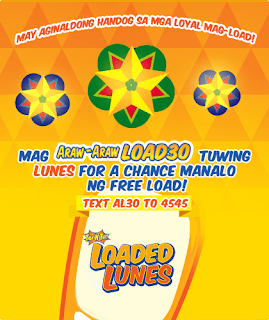 Register AL30 every Monday and you'll get instant BONUS worth P30.00 load for free! For every 10th AL30 subscribers, for example the 10th, 20th, 30th and so on, you will receive P30 load for free! This is a very early Christmas Bonus from Talk N Text for you, loyal TNT subscribers! 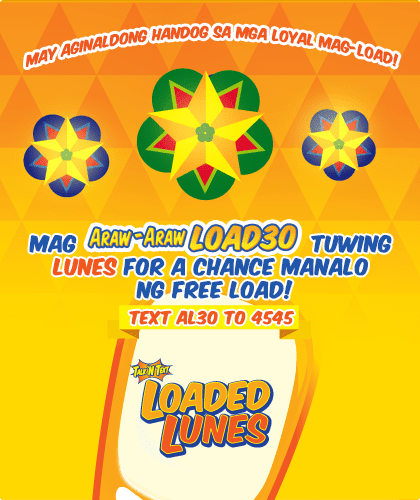 So don't forget, every Monday, subscribe to AL30 for a chance to win free P30 load! Registering to AL30, will give you Unlitext + 10 mins calls to all TNT/Smart + 10 mins mobile internet access for 3 days! Click AL30 for more details. Is this one legit because when I said join on my 5th load it says first load?? how come.. .